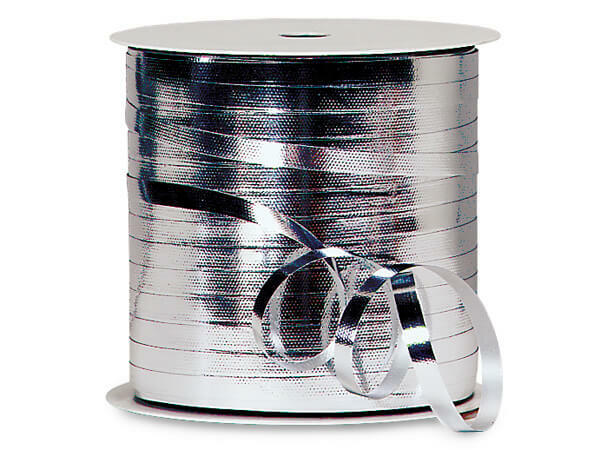 Metallic Silver Embossed Curling ribbon is 100% polypropylene and not recommended for use with helium-filled products. Made in the USA. Laminated polypropylene in bright glossy colors, or metallic embossed finish, or a spool containing 2 complimentary holographic colors. The flange and the tube stock of these ribbon spools are 100% recycled and contain 35% post consumer content. Made in the USA.